A recent report from the independent research consultancy, Retail Economics, claims that many British retailers are "sleep-walking into administration", with underpaid and overstretched consumers opting to save their pennies and stay away from the high street, causing retail businesses to fail. 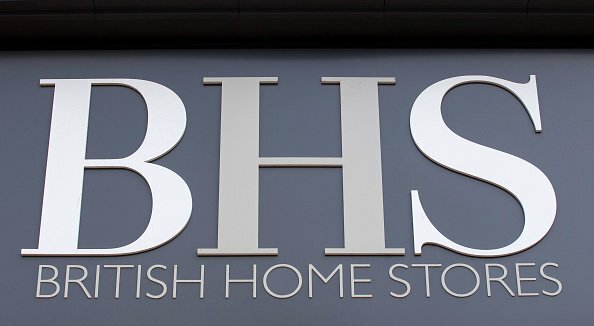 Citing the recent collapse of BHS and Austin Reed, Retail Economics' Chief Executive Richard Lim said, "Many of the economic factors supporting households through last year are beginning to unwind and darker clouds are forming on the horizon. Retailers will have to evolve rapidly to stay relevant to consumers and economically viable." But wasn't the UK economy supposed to be in a healthy recovery not so long ago? Perhaps it's time to take a critical look at the retail industry and assess this pessimistic view of the state of the nation. Back in March the IMF warned that the world economy was at "a delicate juncture" and faced an increasing "risk of economic derailment". In his budget speech that same month Chancellor of the Exchequer George Osborne predicted world-beating growth for the British economy. And the 2.2% growth in GDP last year supports this claim. However, several troubling factors challenge this, and these provide the substance of Lim's claim. First there is the coming inflation rise, which, coupled with a slowdown in employment rates and a lack of growth in salaries, means there is currently low spending power in British households. The temporary economic boost that came out of the dip in oil prices earlier in the year seems to have worn off and now consumers are once again having to tighten their belts. Lim claims that this has led to general economic gloom. "Consumers are now more pessimistic about the future of the economy than at any time in the last three years," he says in the report. Part of the problem he perceives is that old-school retailers (such as BHS and Austin Reed) have been able to hold on for so long largely due to the grace of low interest rates and banks' leniency. The prescribed method of survival would seem to be adaptability. The retail market has changed enormously in the decades since these chains were founded, and proceeding to do business without constant reference to industry and retail analysis and pricing metrics might no longer be an option. Retailers may be eyeing the recent retail disaster stories uneasily, but a few measures can be taken which, if not guaranteeing their survival, will at least make administration less likely, by bringing them up to speed with current industry standards. Survival might be a matter of aggressively adopting new retail methods for the digital market, but also a more adaptable pricing strategy. Ecommerce analysis allows for a greater understanding of the retail market than ever before, and retailers ignore this at their peril. It may be alarmist to claim that retailers are "sleep-walking into administration", but if an over-the-top wake-up call is all it takes to bring long-standing retailers up to speed with current practice and back to the top of their game, then it's a call they'll be glad they received. Stay on top of the retail landscape and take a free trial of Competitor Monitor's retail pricing analysis tool today.